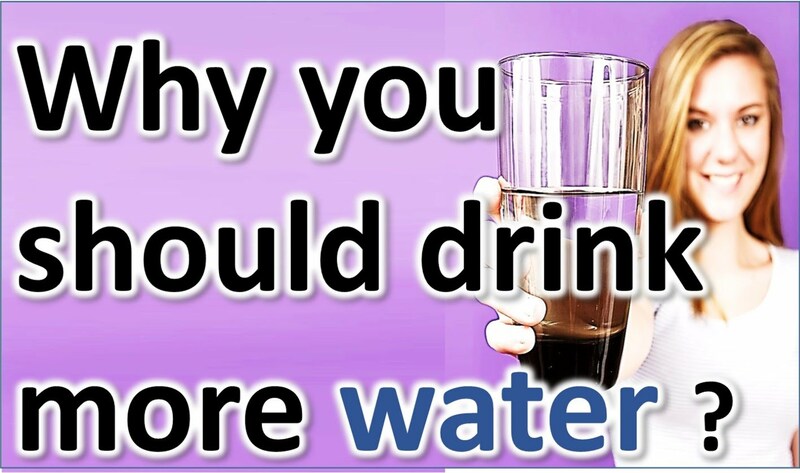 You should have an idea about the 6 reasons to drink more water because if you do not drink more water you might face various issues. Some of the most common problems that you might face because of drinking less water include constipation, eczema, cold toes and fingers, memory loss, confusion, dizziness, fatigue, wrinkled and dry skin, brittle nails and hair, infections of the urinary tract, muscle pains and headaches. The problems that have been mentioned above serve as major symptoms of dehydration. The human body consists of 70% water and this water is used up in various bodily functions. The brain is mostly composed of water and therefore drinking more water helps you in focusing, concentrating and thinking in a better way. It also helps you in being more alert along with a boost in levels of energy. Water helps in removing the derivatives of fat and helps in bringing about a reduction in eating intake if consumed before meals. Water also reduces hunger, raises the metabolism and contains zero calories. Water helps you get rid of wastes through urination and sweat and ultimately helps in reducing the risk of urinary tract infections and kidney stones. It moisturizes the skin and helps in keeping it smooth, glowing and fresh. Water also helps in getting good riddance from wrinkles and works in the form of anti-aging treatment. Your skin appears jubilant and bright by the intake of extra water. If you want to have soft skin, then the best option for you is to drink water is large quantities. Water plays a very important role in helping an individual digest the food that he or she takes in the best way possible. It maintains regularity and even helps in the prevention of constipation. People who have this strong desire of being focused and upbeat, it is essential for them to drink lots of water. Brain fog can trigger dehydration and therefore drinking water is essential for people who feel forgetful and confused.